Shortly thereafter in 1492, Isabella and Ferdinand expelled the Jews from Spain. This sent waves of Jewish refugees throughout Europe, spreading knowledge of Hebrew and of the Kabbalah. Renaissance philosophers sought to integrate these traditions with the view of unifying the rapidly disintegrating religious factions and also ending the constant political strife. 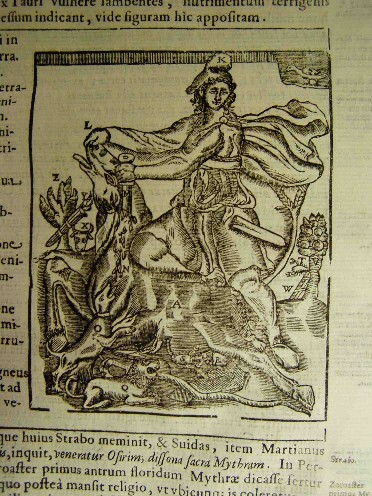 Thus they are the forerunners or prophets of the Rosicrucian and Illuminati movements. 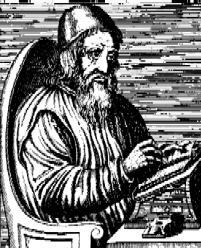 Master cryptographer and magician, Trithemius was the mentor of Henrich Cornelius Agrippa. 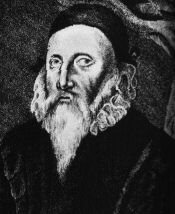 The most influential writer of renaissance esoterica. Another influential Renaissance figure, Dee was Queen Elizabeth's scientific advisor. In later life, he became disillusioned with pure science and started experimenting with occult techniques of the day. Many of his esoteric writing were kept secret and only discovered by accident long after his death. 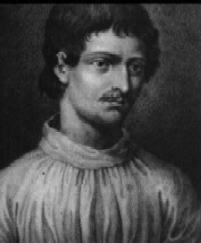 Bruno was one of the most original and colorful thinkers of the Renaissance. The Inquisition considered him a dangerous heretic, and had him burned at the stake in 1600.